It's official: Child's Play star Chucky and Killer Klowns from Outer Space are coming to Universal's Halloween Horror Nights in Orlando. The two latest announcements are the final scare zones that will be added this year with the previously revealed Vamp 85: New Year's Eve, Twisted Tradition, and The Harvest. In addition, a Stranger Things area will make its debut for the 2018 Halloween Horror Nights, which is based on the popular Netflix series. There's also a scare zone dedicated to Trick 'r Treat. Universal Orlando's Halloween Horror Nights will run September 14th through November 3rd this year, and it features a total of ten haunted houses, which is the most in the history of Halloween Horror Nights. In addition, there are five scare zones and a live show. 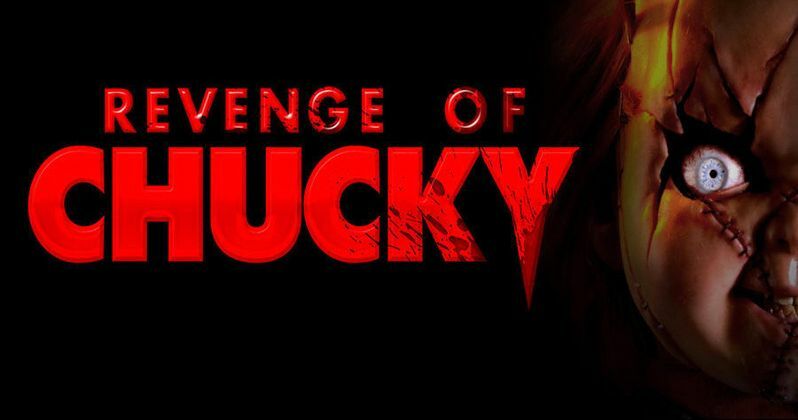 Chucky is back with the Revenge of Chucky scare zone that will feature a festival of toys that have been twisted into new nightmares. The zone is run by Chucky himself, as he commands his minions to get into some horrific fun with guests. The cult classic, sci-fi horror film Killer Klowns from Outer Space scare zone sounds truly terrifying. Halloween Horror Night guests will walk into an interstellar circus tent that features the sweet smell of cotton candy. However, there's something fishy about the way this cotton candy is spun. As it turns out, the Killer Klowns are collecting humans to make the cotton candy from, searching out guests to trap them with their candy ray guns. This also sounds like a perfect marketing opportunity to get some human-flavored cotton candy around the park. It was previously announced earlier this year that Stranger Things will have a presence at Halloween Horror Nights for the first time this fall in Orlando park as well as Hollywood and Singapore. Guests will be able to enter the Upside Down and come face to face with a Demogorgon, while seeing other iconic scenes and characters from the show. Guests will be able to visit the menacing Hawkins National Laboratory under the U.S. Department of Energy as well as the Byers home, which is decorated with a crazy display of flashing Christmas lights, and then finally, guests can visit the eerie Upside Down woods. Adding to the terror at this year's Halloween Horror Nights is the Slaughter Sinema haunted house, which will bring 80s B-movie monsters and creatures and put them into one frightening experience. The new haunted house joins the line-up of original storylines that guests will have to brave in order to make it out alive. In one film, you'll be hunted by werewolf bikers. In another, you'll come across a bloody, gut-strewn pumpkin patch, and then there's those deadly barbers... Another new addition to the lineup is the Dead Exposure: Patient Zero haunted house. Guests are put in the middle of Paris in 1982 and the city of lights have all gone dark as chaos spreads, unchecked. Hordes of vicious, flesh-eating undead are swarming the streets. Halloween Horror Nights 2018 is shaping up to be one of the best in the history of the event. The yearly haunt started in Orlando back in 1991 and then spread to Hollywood in 1997, Singapore in 2011, and then Japan in 2012. When Halloween Horror Nights started in 1991, it was known as Fright Nights and only lasted for three nights. Additionally, there was only one haunted house, which was called The Dungeon of Terror. From there, the event began to grow with The People Under the Stairs coming up the next year and then more horror franchises coming as the years moved on. Tales from the Crypt and many others have taken turns hosting throughout the years. You can get more information about this year's Halloween Horror Nights in Orlando over at Universal Orlando.